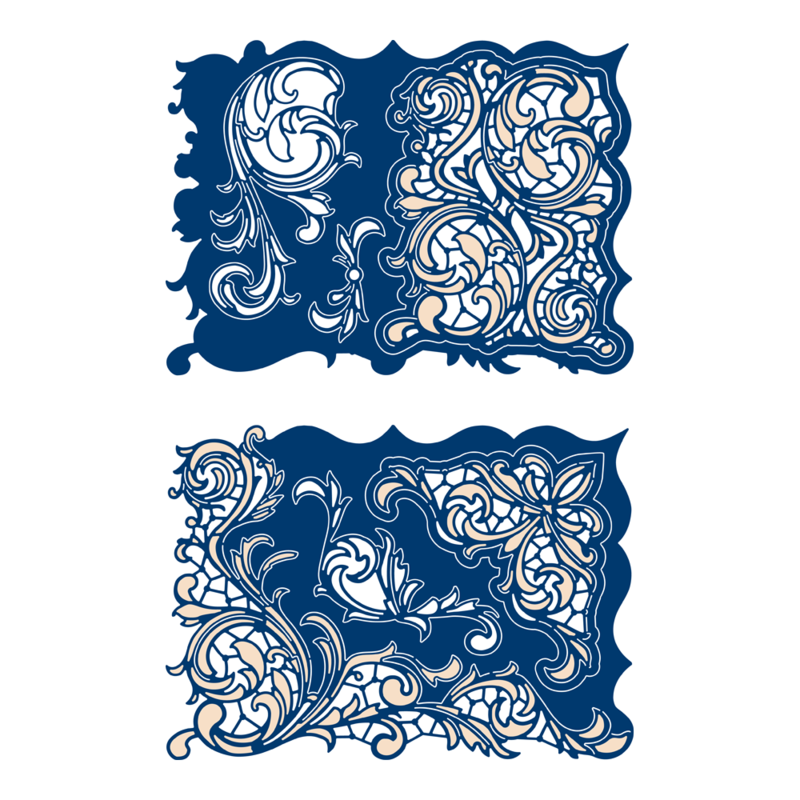 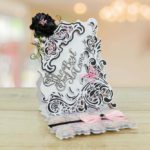 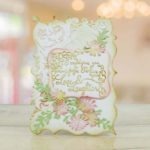 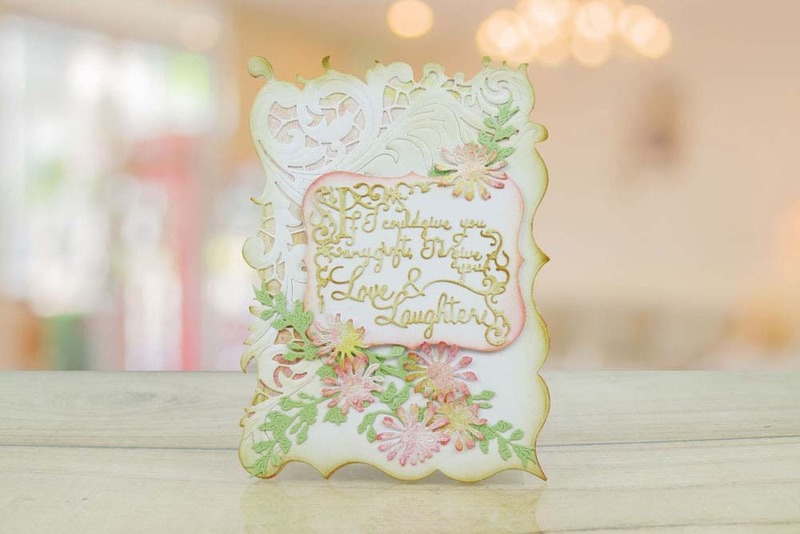 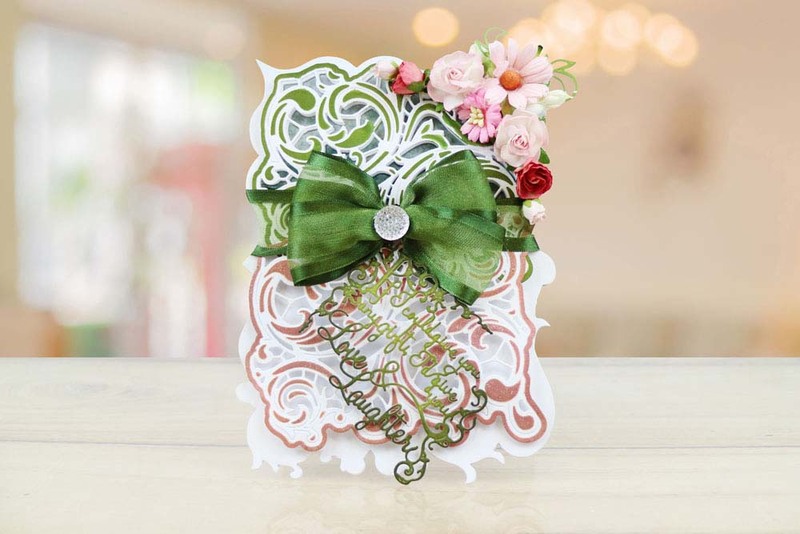 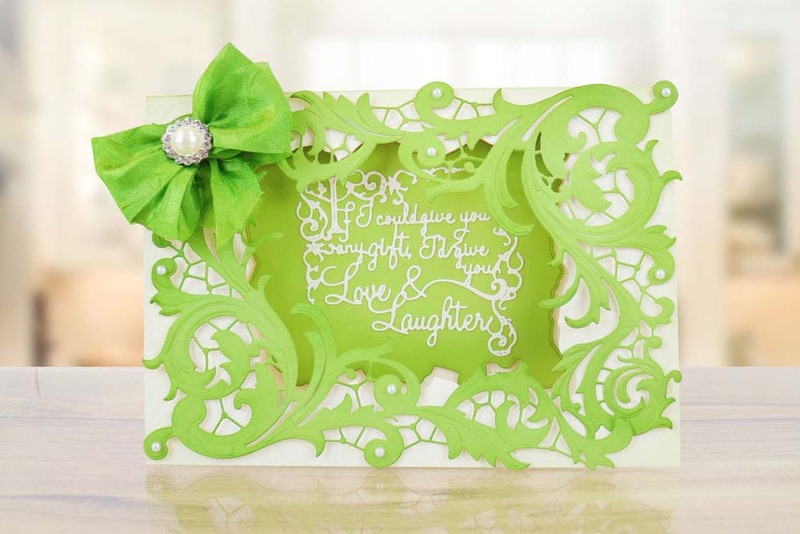 The Tattered Lace Lavish Flourish Card Shape features several different elements making this die extremely versatile and a must have for any crafter. 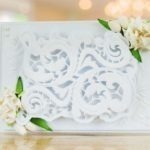 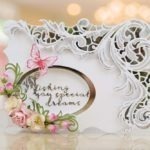 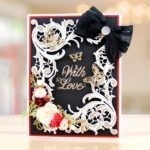 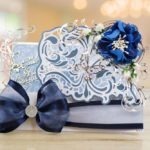 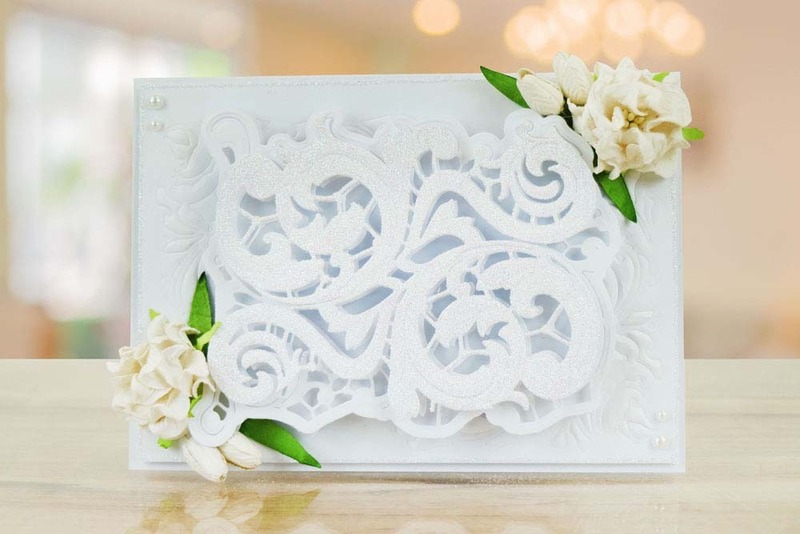 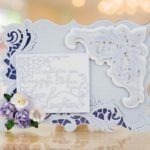 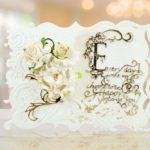 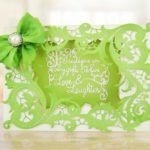 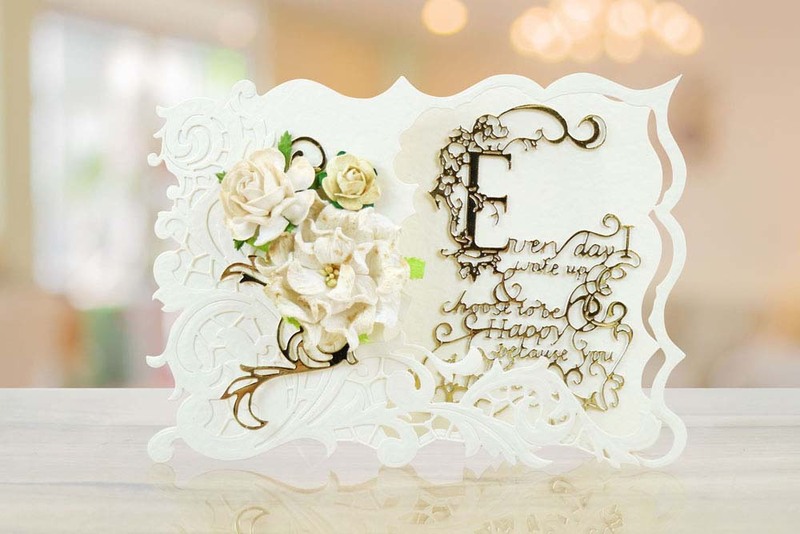 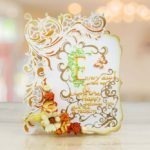 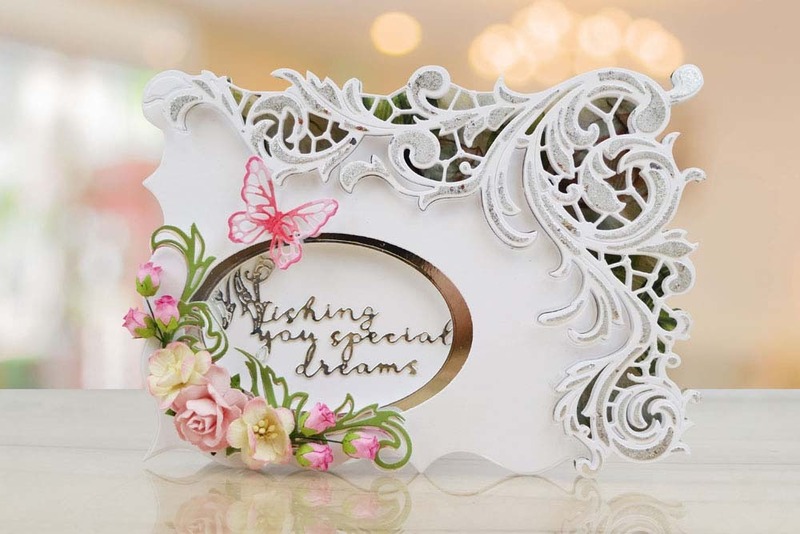 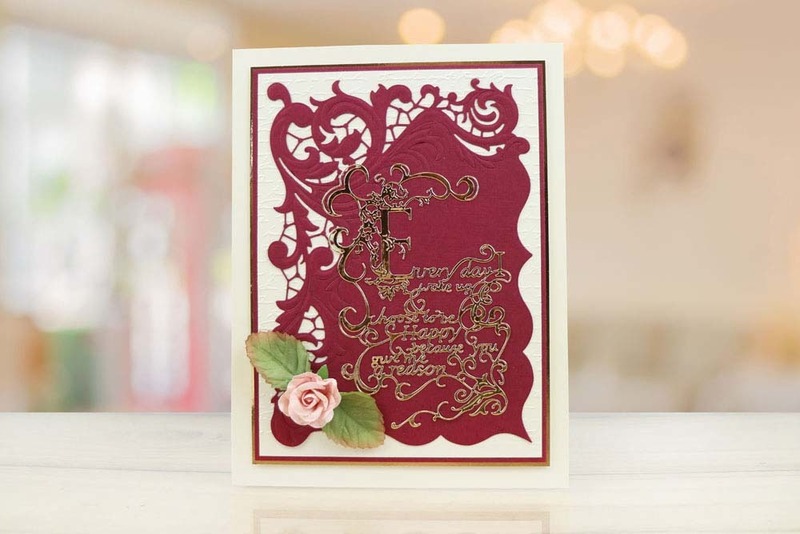 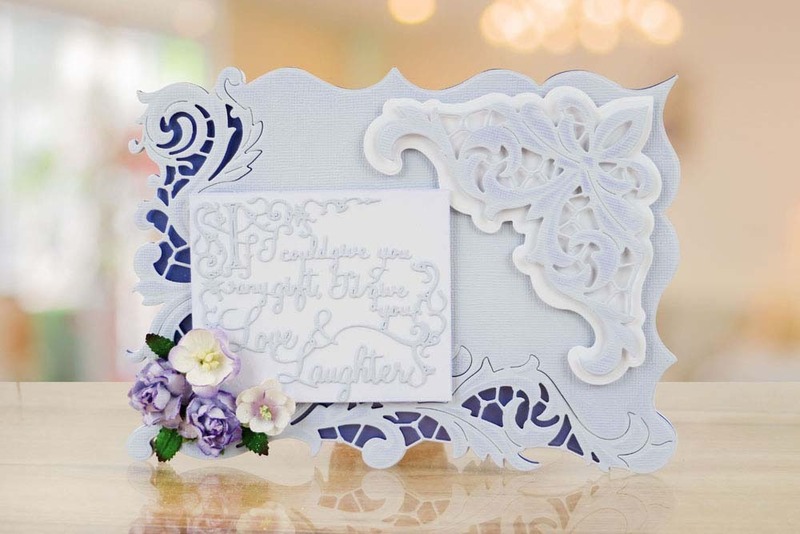 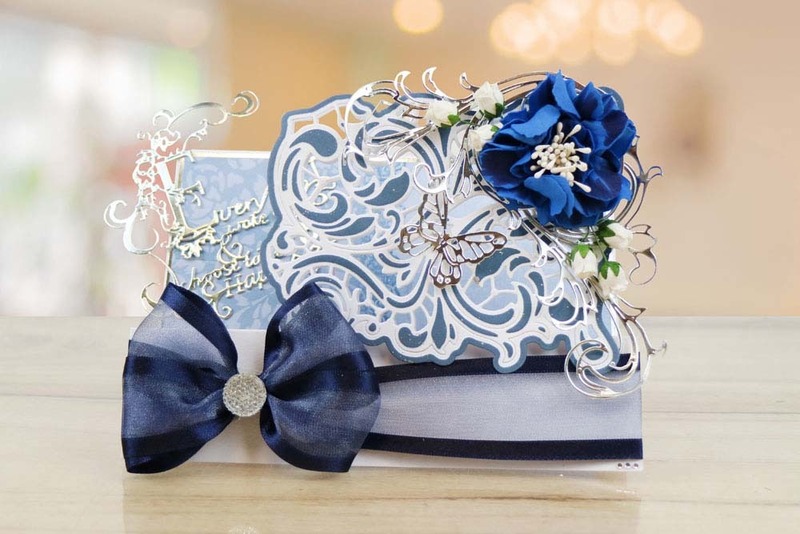 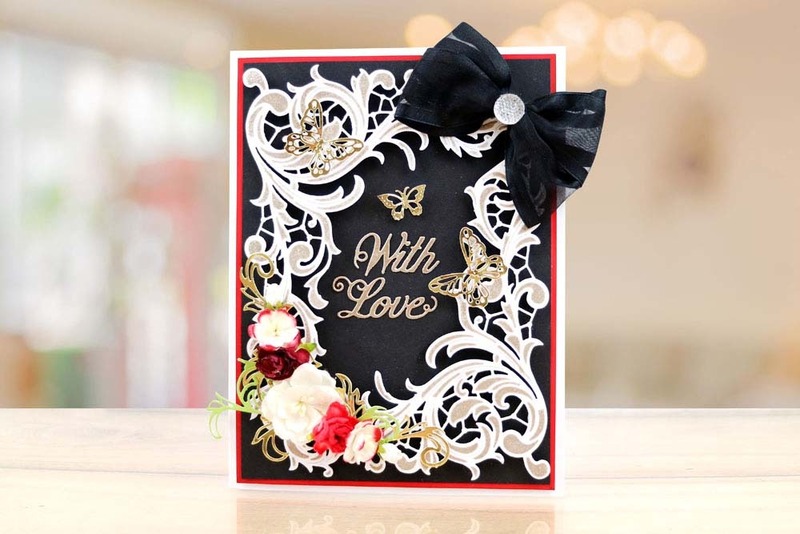 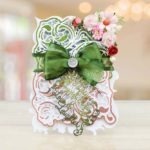 With its beautiful details edging with flourishes that swirls and curls entangling the frame in to your card to create a beautiful design, It has all the detail inside the shape giving your card project beautiful detail. 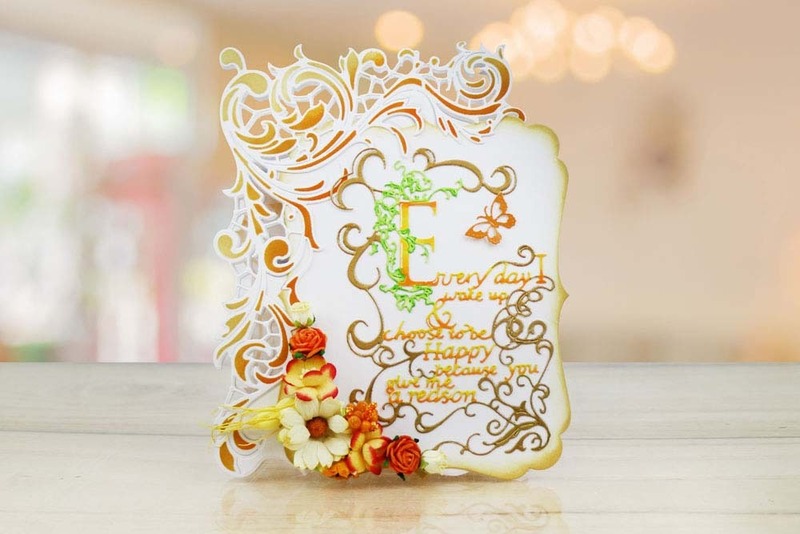 Use together with the smaller essentials included creating an aperture which is perfect for drawing people’s attention to the centre of the card where you could place a lovely sentiment.